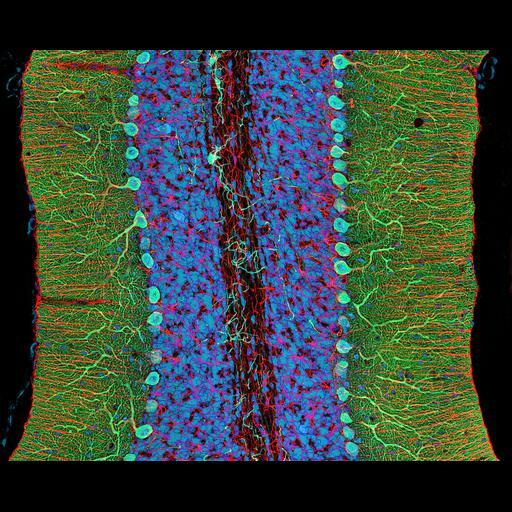 Photomicrograph of a midsaggital section showing the different components of the rat cerebellum, including Purkinje neurons in green, glia (non-neuronal cells) in red, and cell nuclei in blue. This image is part of an ongoing effort to develop methods to enable the creation large-scale digital atlases of the brain. Fifth Prize, 2007 Olympus BioScapes Digital Imaging.